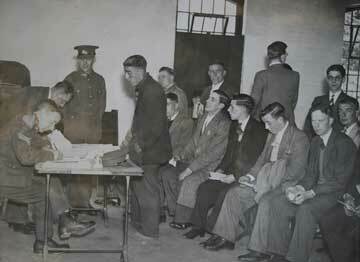 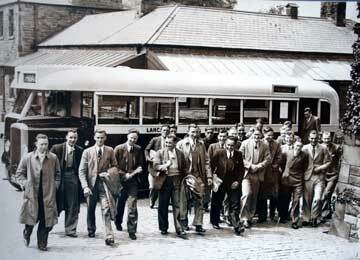 The first arrivals of militiamen (conscripts) at Bowerham Barracks, 1939. 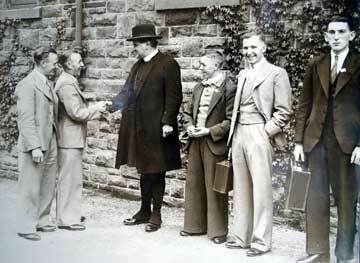 The Bishop of Lancaster welcomes militiamen to Bowerham, 1939. 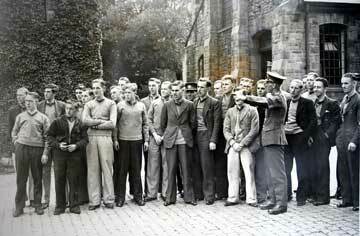 Group of militiamen at Bowerham, 1939. 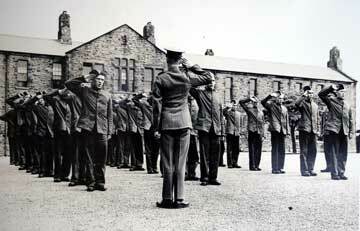 Militiamen at Bowerham Barracks, Lancaster, 1939. 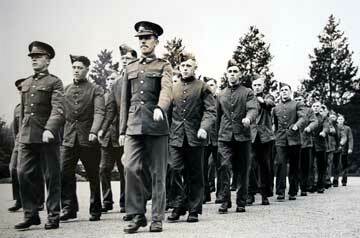 Militiamen on parade, Bowerham Barracks, 1939. 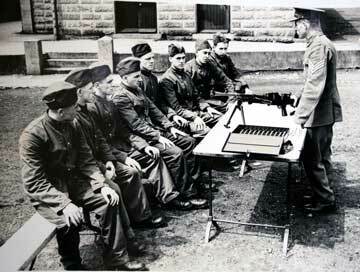 Instruction in the 'Bren' light machine gun, 1939. 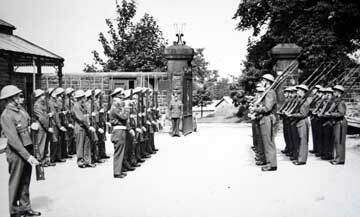 Militiamen on parade at Bowerham Barracks, 1939. 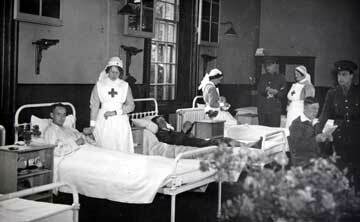 Hospital ward, Bowerham Barracks, Lancaster, 1939. 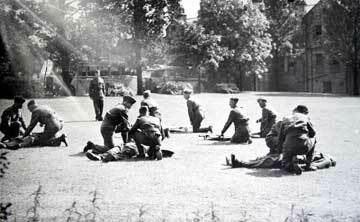 Stretcher bearers, Bowerham Barracks, Lancaster, 1939. 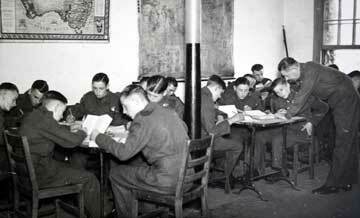 Schoolroom with boy soldiers, Bowerham Barracks, 1939. 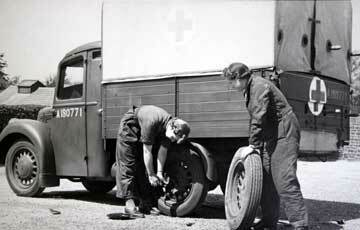 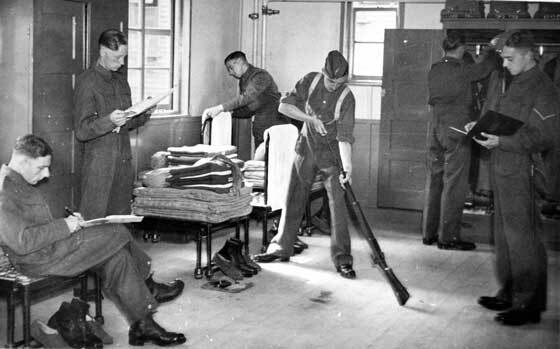 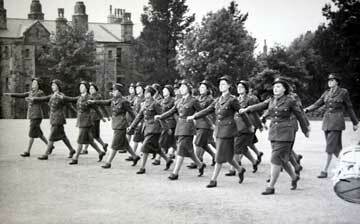 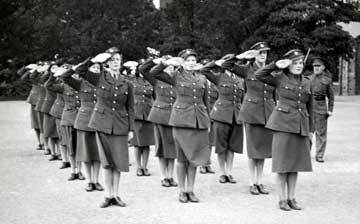 Auxiliary Territorial Service at Bowerham Barracks, 1939. 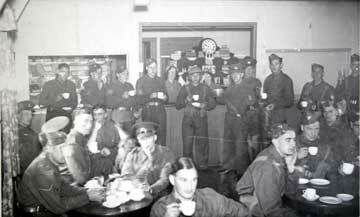 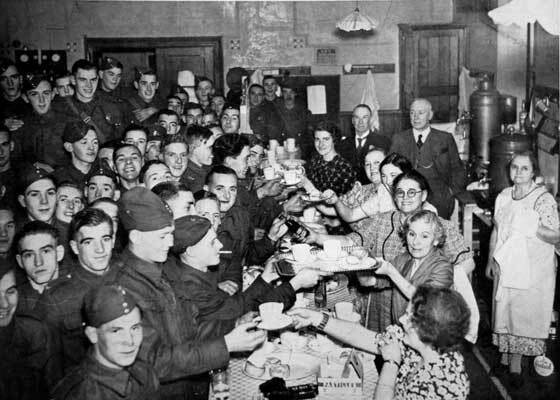 Canteen, Bowerham Barracks, Lancaster, 1939. 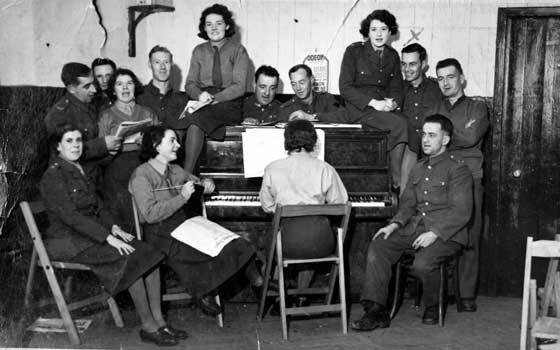 Group of King’s Own soldiers and members of the ATS, singing around a piano. 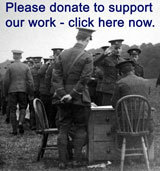 ‘x’ marks John Lacy Rowlandson. 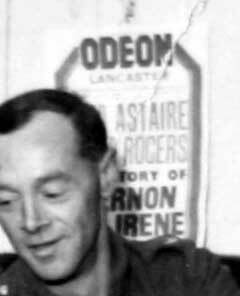 The photograph appeared in the Lancaster Guardian of 1 Dec 1939. 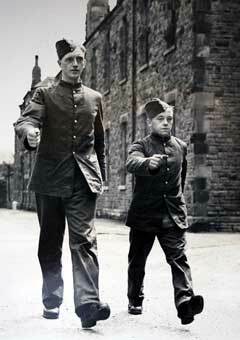 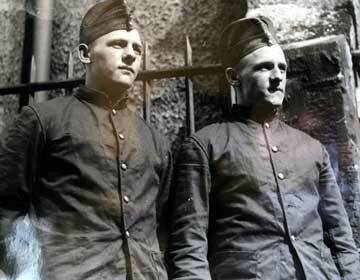 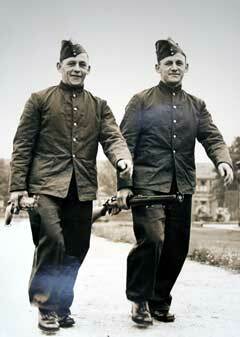 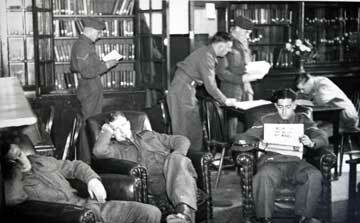 Photo likely to have been taken in Nov 1939 at Bowerham Barracks, Lancaster. 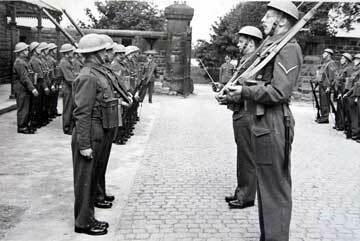 Guard at Bowerham Barracks, 1939. 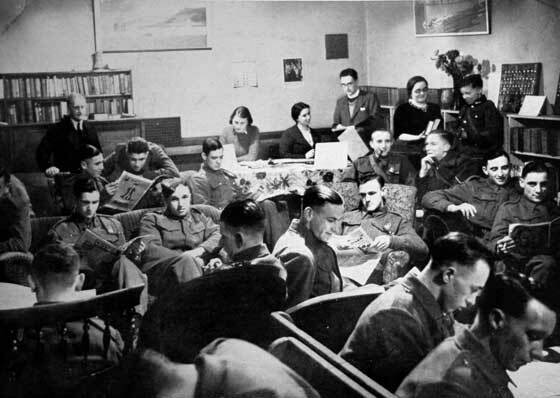 Barrack room scene, circa 1939. 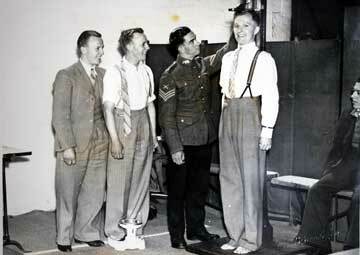 From left to right, boy soldier, private, lance corporal, corporal, sergeant, colour sergeant, company sergeant major, regimental quartermaster sergeant and regimental sergeant major at Bowerham Barracks, 1939.